Hello December! Bonjour! Mabuhay! Now that I survived another stage of busyness, I'm officially in "Holiday Mode"! 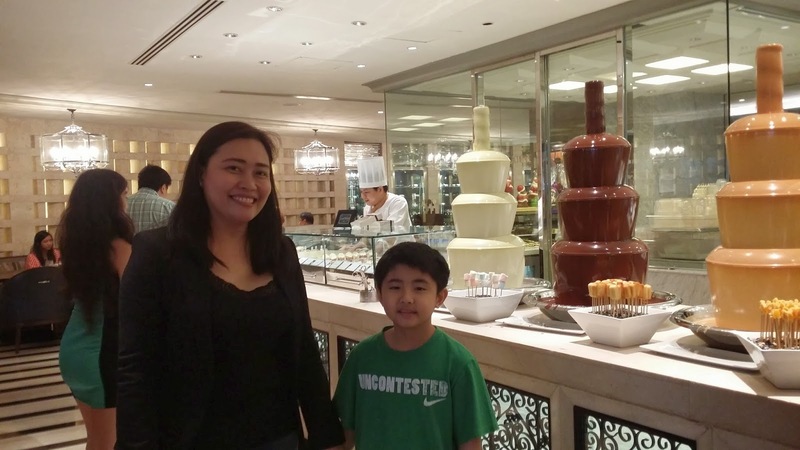 Let's kick off my beloved month ever with a (super belated) post of our favorite, best ever buffet destination...Spiral in Sofitel Manila. Let's eat! Bon appétit! Welcome to Spiral! 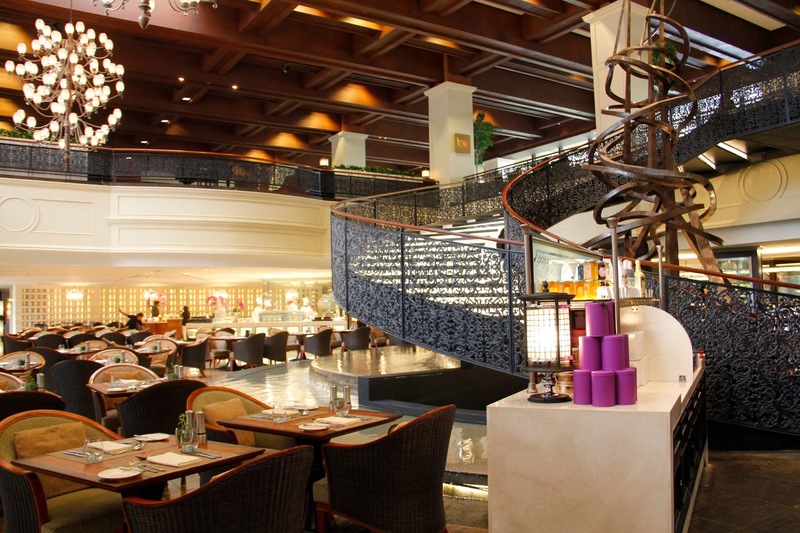 Sofitel Philippine Plaza’s legendary flagship restaurant – Spiral is as one of the most dynamic interactive dining destinations in Asia Pacific. Part of our last sem break escapade was a lunch buffet in Spiral. The new Spiral boasts of 2,500 sq m is divided into 21 dining ateliers. In France, an atelier is an artist’s special workshop, and in Spiral it is where secret recipes are masterfully prepared right before your very eyes. 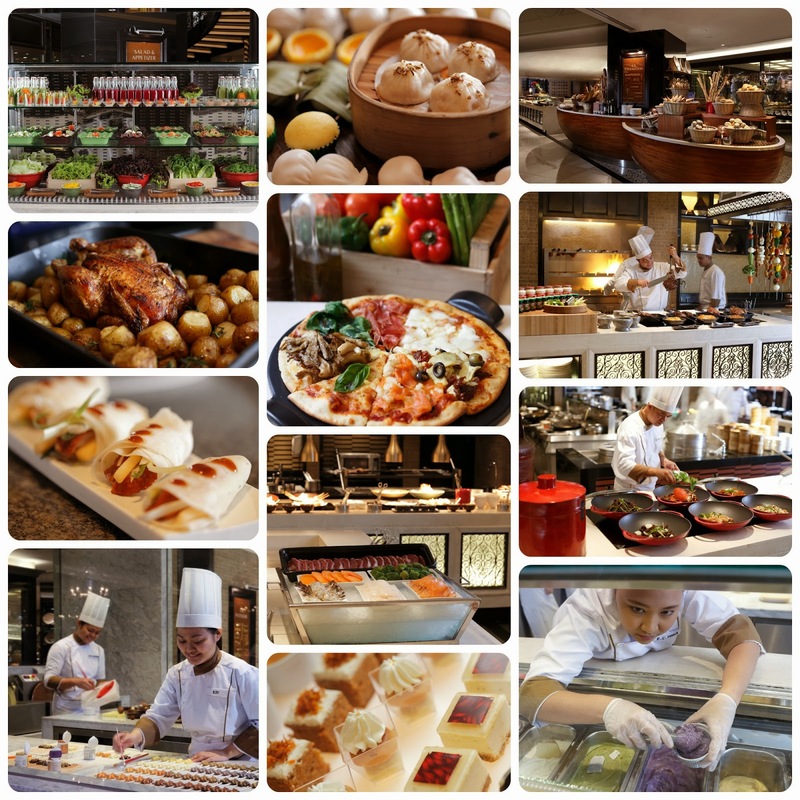 The range of cuisines is expansive and the attention and detail to each dish has the focus of an artisan. 1 of 21 Ateliers is the (1) French Stove. Here is where every dish is meticulously prepared, and authentic French dishes are a labor of love. Savour home-made seared foie gras, luscious roasted meat and carving, seafood, grilled food and regional French cuisines that will surely impress every gourmand. 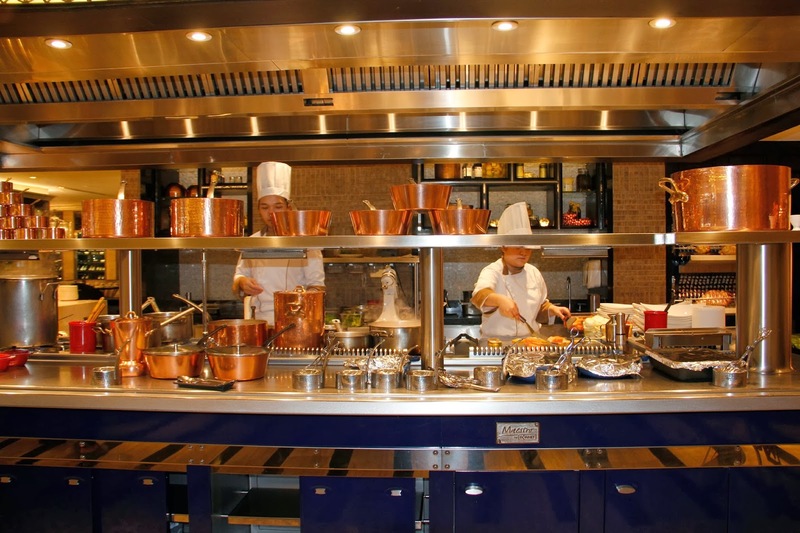 The (13) North Indian Atelier boasts of its authentic Tandoori Ovens imported from India. Explore the wonders of the seven seas at the (14) L’Ecailler. Oyters, Prawns, Lobsters, Crabs, Salmons, and more. Amazing! And we're just getting started...every so often, I have the pleasure of dining at Spiral, and every time, things just keep getting better! 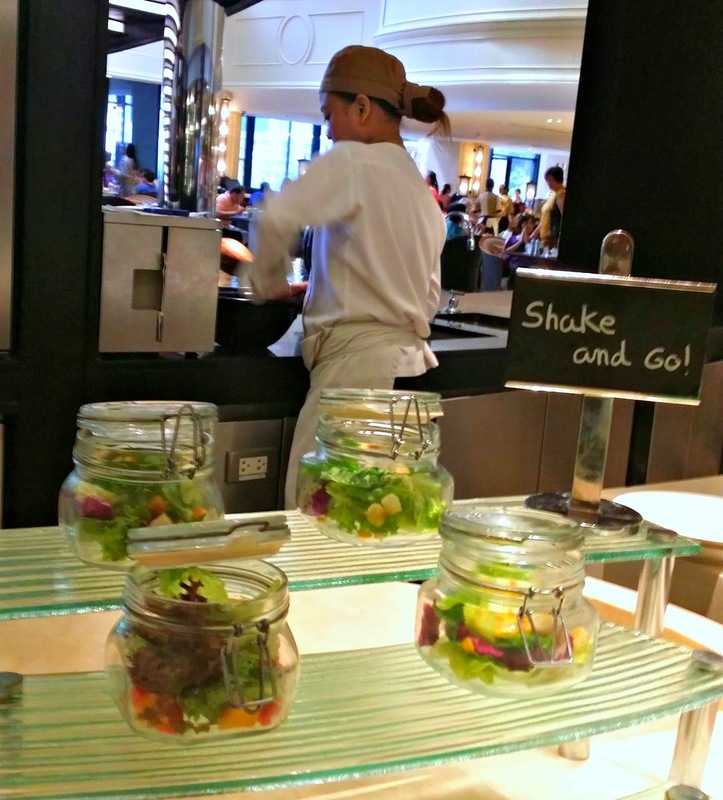 The (2) Salad and Appetizer Atelier of Spiral shows off a wide range of fresh locally grown produce, and organic colorful vegetables that are freshly picked from Spiral's very own garden, that will be tossed for you by the chefs with your choice of home made salad dressings. And now, new addition to the set up are mix of greens, and vegetables that are beautifully and practically contained in a glass, for easy tossing. Shake and Go, easy peasy! My son had two rounds of these! I'm a happy mom! Olé!Tapas Selection in the (2) Salad and Appetizer Atelier. (15) Sushi and Sashimi Sushi is a raw bar with all the fresh sushi and sashimi prepared the sushi chefs. Japanese rituals abound at this cold stone counter. 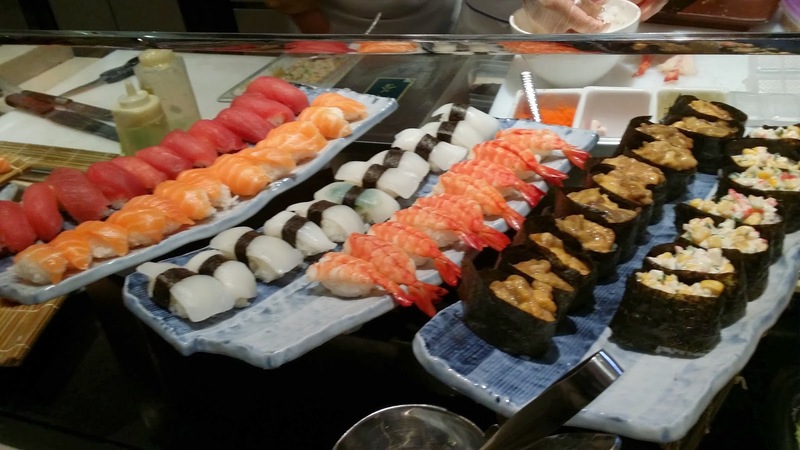 Temakis and nigiri are in abundance. 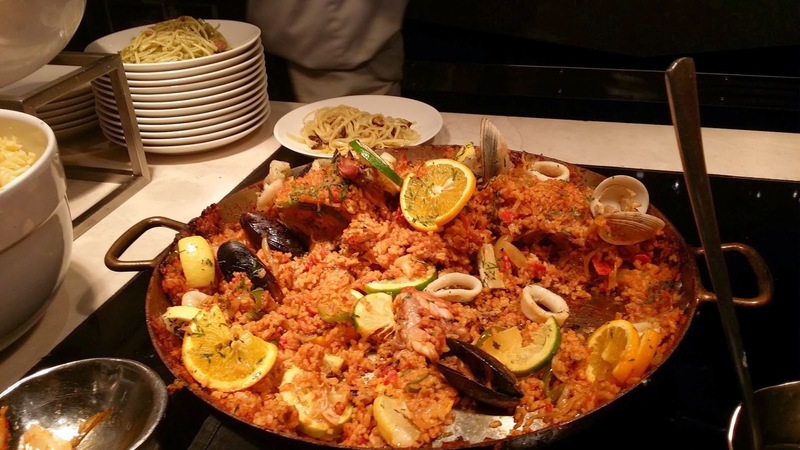 To our delight, there was even Seafood Paella! Yum! 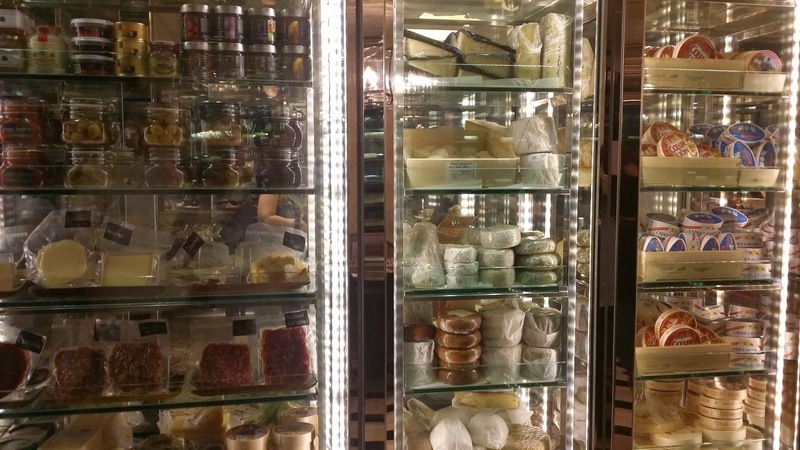 We love the (16) L’Epicerie, simply put the Meat and Cheese lovers haven. 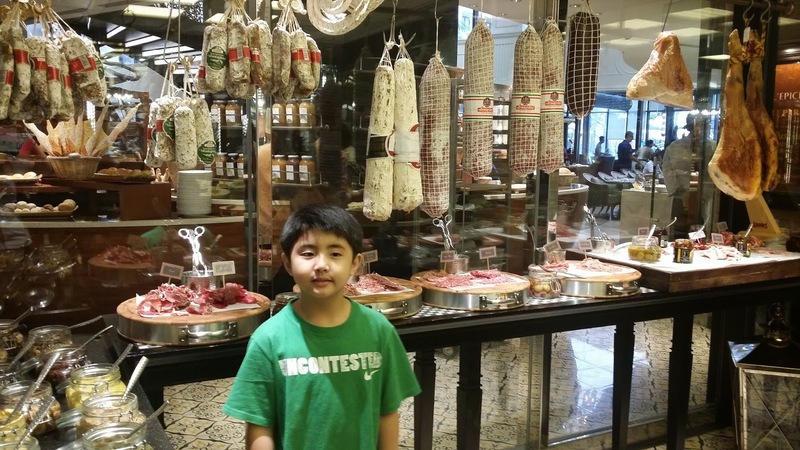 Feast from a wide variety of premium aged hams, charcuterie, and smoked fish. Pair them with olives, herbs, sun dried tomatoes, olive oil, sauces and condiments for a real gourmet experience. Play favorites. Now, you can buy it, and take it home. Because most stuff in Spiral you cannot truly get enough, some of your favorite and popular goodies per atelier, are for sale...nicely packed, and conveniently located at the counter, so you can just ask the chef about it. Enjoy Spiral 2 Go! 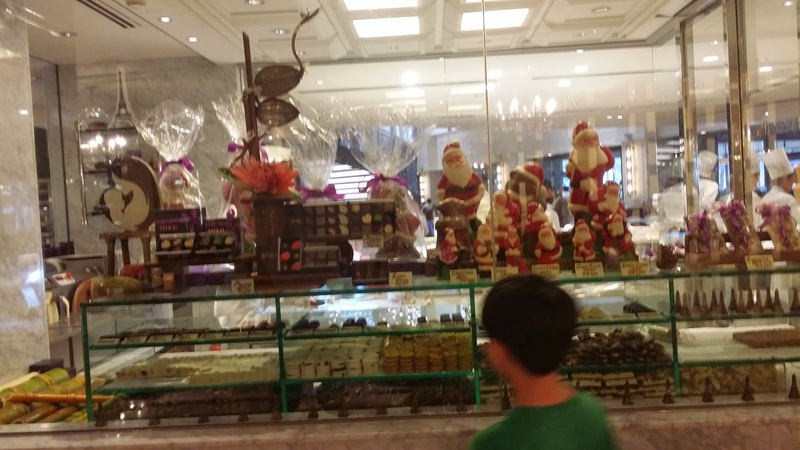 Since it's now the happiest time of the year, festive Santa Chocolate Figures are crafted at the (5) Chocolaterie. Nothing in Spiral is ordinary and boring. 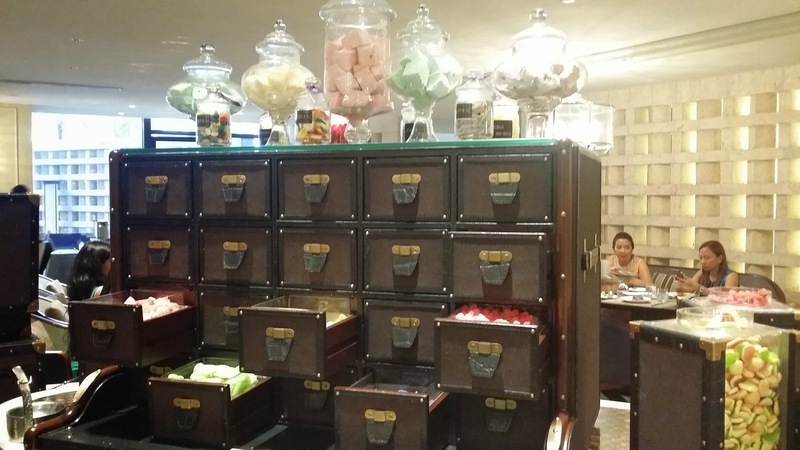 Look how classy, and luxuriously the chocolates and candies are stored with the vintage, chest drawers. Just Beautiful. Pralines. 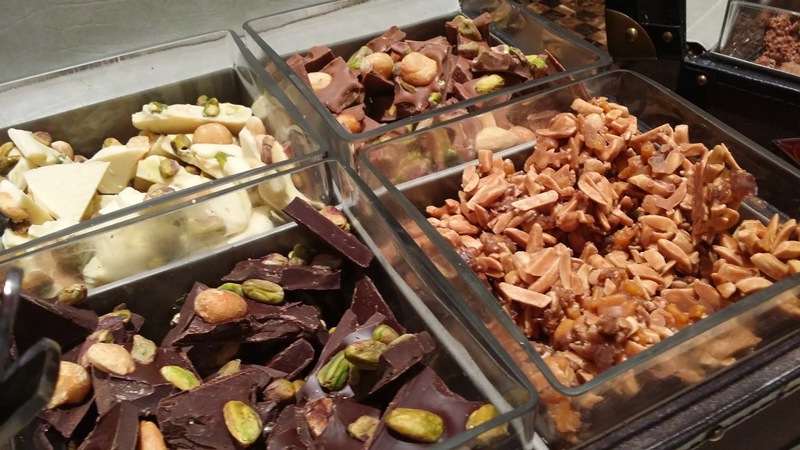 In Spiral's (5) Chocolaterie, Chocolates are the stuff sweet dreams are made of. Thank you Sofitel Manila, Jane and Blessy, for having us. You have pampered us with so much luxuriousness. And now, Chase can only think of Spiral every time he's asked where to treat him. Oh my! Level up! And there are more ateliers, nothing is ordinary in Sofitel, so you have to try and to see for yourself my beloved (17) Korean, (18) Thai, (19) Churrasco (Steak all you can! ), (20) Asian Noodles, and last but not the least (21) Filipino. Mabuhay! Among of already many dazzling things, Spiral also boasts of La Veranda, which is an indoor lounge that opens to an outdoor terrace leading to the iconic lagoon-shaped pool the hotel is famous for and its Six spacious (luxurious) private rooms outfitted with plush leather sofas and large dining tables. And much, much more praiseworthy features. 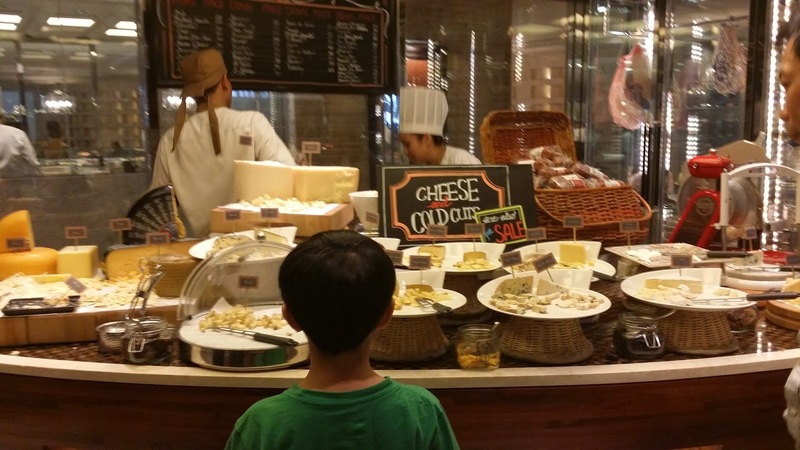 For family diners, who would rather not take their little ones in the Spiral Dining area, you can bring them to the Sofitel Kids' Tent. Here are fun activities (free and paid) to keep your child entertained while you enjoy the ultimate "me" time at Spiral. 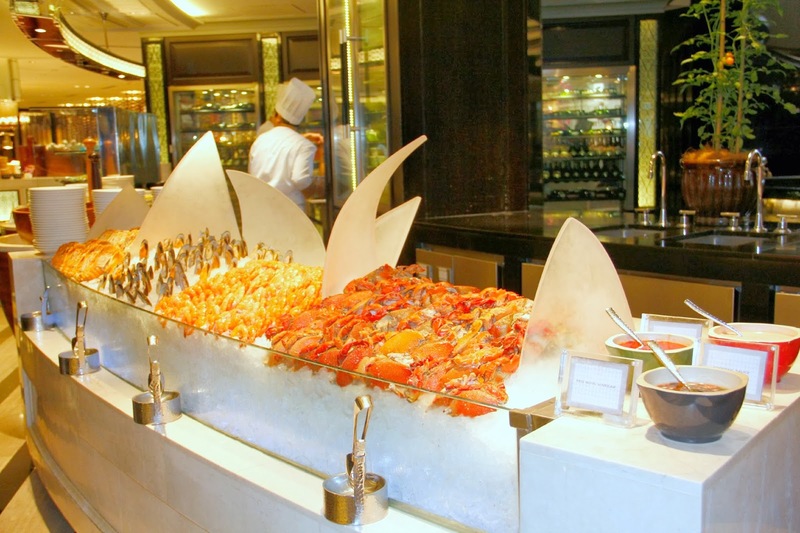 Spiral Manila truly is the happiest buffet destination ever. Cheers! To book a table, visit the official website of Spiral Manila. Every so often, there are promotional Spiral lunch vouchers to boot, so like the Spiral FB Page now! 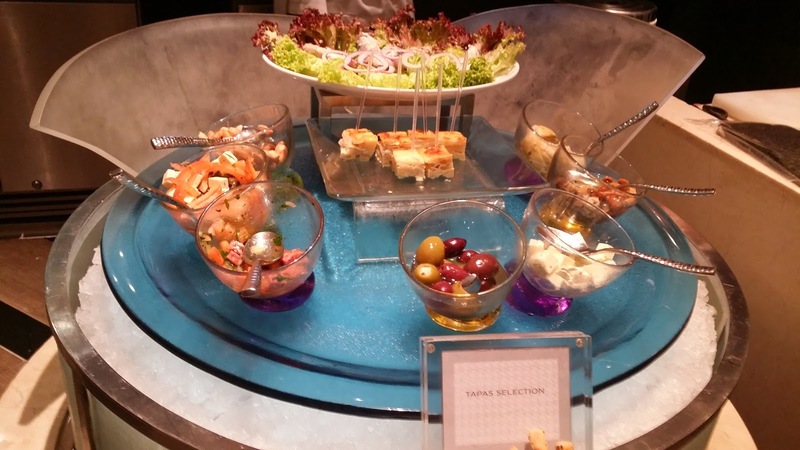 Disclaimer: We had the privilege of being gifted with complimentary lunch buffet at Spiral. But given the wide range of food choices from the 21 Dining Ateliers, if you are up for a luxurious treat and indulgence, the adult rate of Php 2500 is totally worth it. Promise! I swear! If I'm up to some spending, like we usually do for special occasions (because you ought to know we love to party! ), Spiral is it! Last time, we paid about Php 2000 for just 100g of wagyu steak per person, the Hot Japanese atelier of Spiral offers teppanyaki all you like, that, and a whole lot more, the buffet rate is totally worth it!